View cart “HD Aluminum Rhino Case” has been added to your cart. 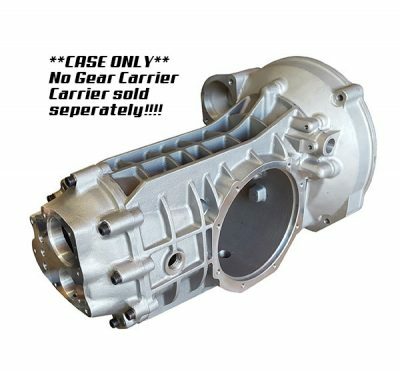 Designed primarily for racing applications this-state-of-the-art High Performance Type 1 case manufactured by Auto-Craft and now available from Rancho, is quite literally the Big Dog on the block. The case is a two-piece design made from 356 T-6 aluminum, weighs in at 25 pounds and comes with removable bell housing. 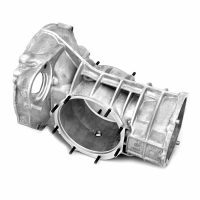 Compatible with both IRS and swing axle applications they are significantly more robust than OEM units with added material at all stress locations and features massive supporting gussets both top and bottom. The Auto-Craft case is compatible with just about any clutch, flywheel and crank combination and virtually eliminates flex while providing superior gear support. Just the ticket for those who need the extra strength for track work or just demand the very finest for their ride. 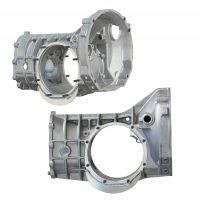 The cases were developed for use with factory and aftermarket Type 1 components. If appearance is a concern these things look AWESOME right out of the box, powder coated or fully polished. As with anything of this caliber they aren’t cheap at $1095.00, but it’s a small price to pay for the impeccable craftsmanship, strength, reliability and hi-tech appearance they provide. Naturally you will also want to use the Auto-Craft gear carrier shown which retails for $275.00.